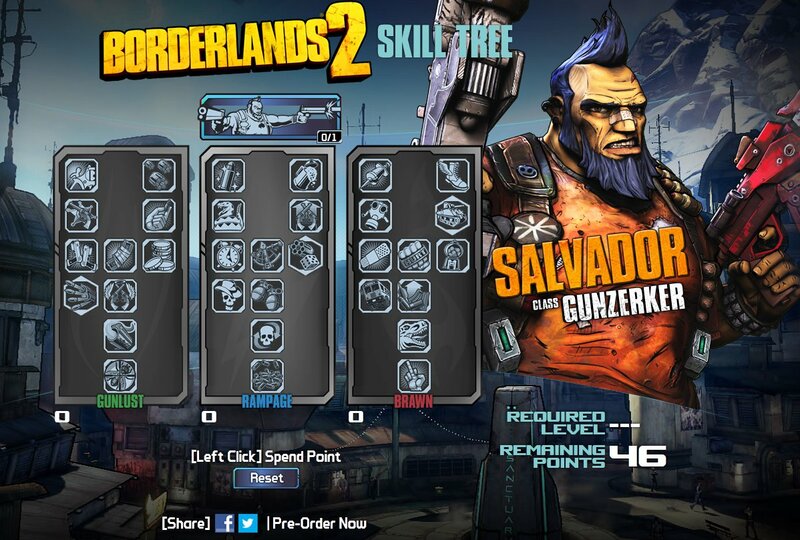 If you're bored waiting for Borderlands 2 to arrive, the game's official website now has something to help you pass the time. 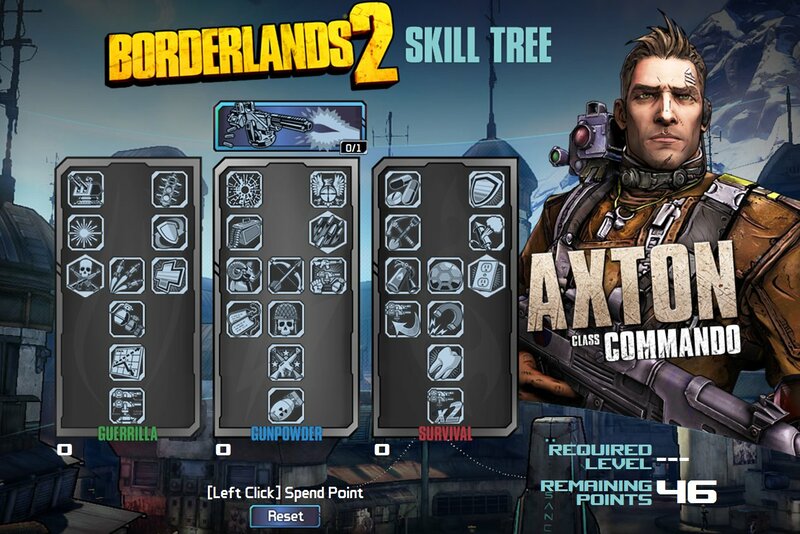 Gearbox has released interactive skill trees for all four playable characters. The website lets you plan every skill point purchase. You can also check out all of the abilities at your character's disposal. 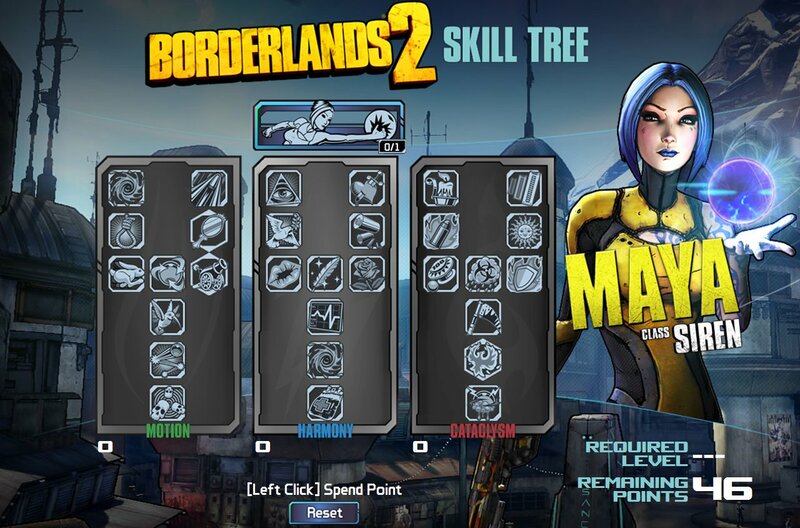 Each of the four heroes in Borderlands 2 has three skill trees to advance through, giving you a lot of choice. The website currently doesn't have the Mechromancer's skill tree. The Mechromancer will be released after the game's launch as DLC. It'll be free for pre-order customers. 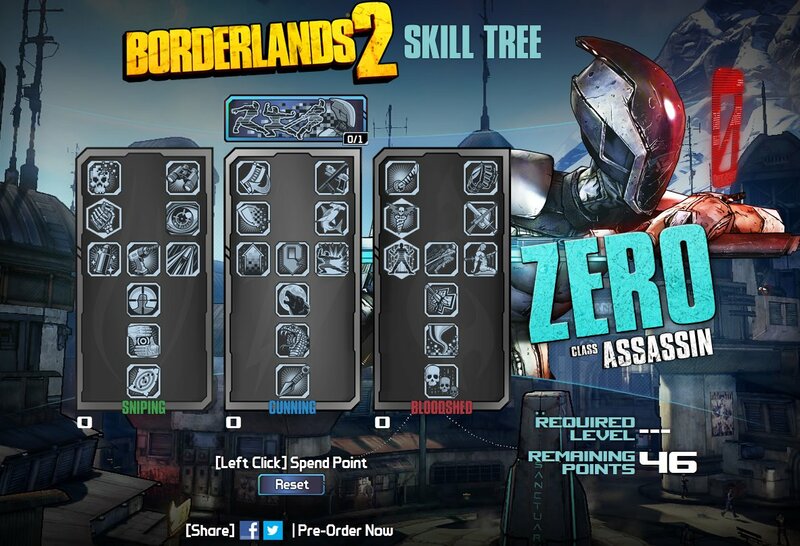 Images of the four base characters' skill trees are below. They should give you a sense of how many choices you'll have at your disposal.